If you've seen the news lately, you know that Nashville has been devastated by the rain that fell for two days straight over the past weekend. 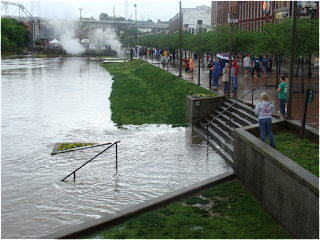 All over Middle Tennessee, our rivers, creeks and lakes have overflowed. 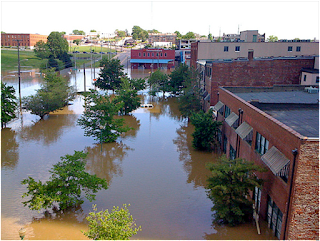 In Nashville, the Cumberland River, who has always hugged our town in her strong embrace, overflowed from the incredible rain fall we received. She made her way up and over the boundaries that usually contain her and flowed down the streets of Nashville, devastating our city and her landmarks. It happened so fast, and with no warning so there were many people who were trapped on the highways and interstates because the waters rushed over them before they could get out. People's houses are filled with feet of water. Several of my friends had to evacuate their homes, leaving behind most of what they own, thankful to just make it out safely. There were some in this state who did not. We're in recovery mode now, a healing mode to help those who've received the worst of this devastation. Tennessee is known as the Volunteer State, and that spirit is being manifested already. We're going to make it through this. I hope you are on high ground...thinking of you! my prayers are with you and everyone there! be blessed. Got you and others in my prayers.